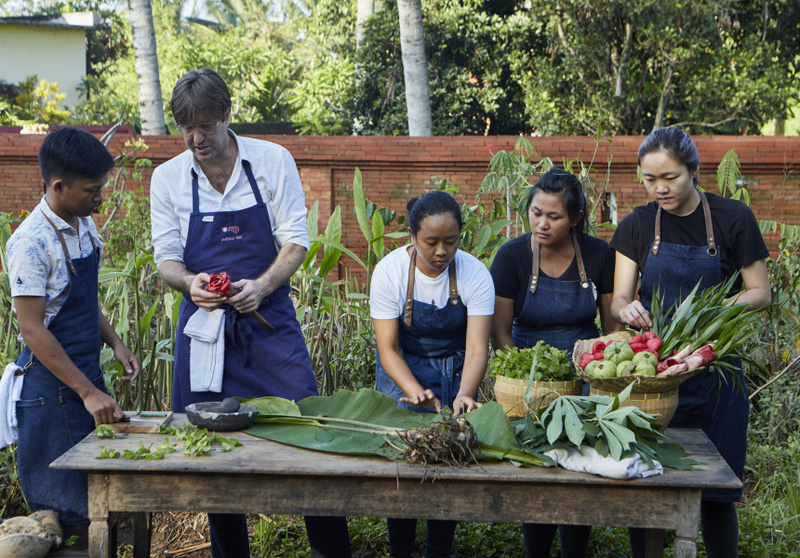 More space, fewer seats and a reimagined style of eating: Chef’s Table star and El Bulli alum Will Goldfarb talks about his Balinese restaurant’s new direction. Will Goldfarb has been busy. 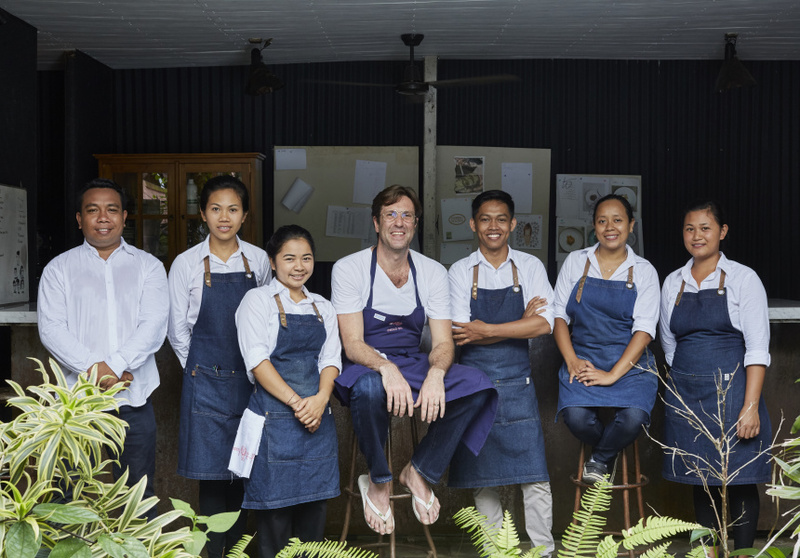 The Bali-based pastry chef temporarily closed his Ubud dessert bar, Room 4 Dessert, in mid January to give his staff a breather from the rush following his appearance on Netflix's Chef’s Table series. But the break has been about more than just recharging batteries. 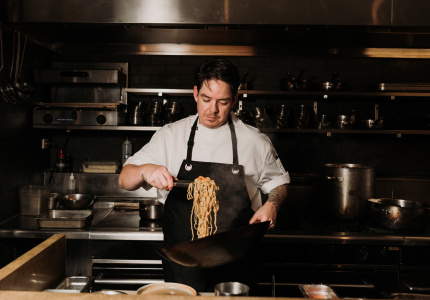 Goldfarb also used the time to shake things up at the restaurant by renovating the space, finessing the food and establishing a blockbuster garden apothecary that drives most of the latest tasting menu. The whole idea, though, was to scale down the operation. We’re talking plants such as aloe vera and jasmine on the right side of restaurant, heirloom red rice along the front wall, and the likes of lime and mangosteen in the adjacent fruit garden. The structural transformation is remarkable. 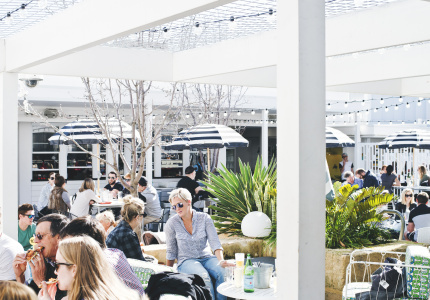 There’s a smart clay-brick wall fringing the property, two new seating areas and an alfresco corner slated to feature day beds – and maybe a firepit. It’s a more casual, backyard vibe. Despite the scale of the renovation, Goldfarb isn’t looking to hit the ground running. Instead, he’s pacing himself and starting off with one tasting menu and a single nightly sitting for the initial months. After that, he’ll look into offering smaller menus, accepting group bookings and hosting “hangouts and barbeques in the lawn”. With the fresh look comes a whole new way of dining that isn’t entirely based on the sweet stuff. From behind a concrete bar in the restaurant’s lofty new back end come savoury snacks: smoky little jackfruit taquitos, super-crisp deep-fried banana hearts, house-made sourdough crusts with cultured butter and blackened Jerusalem artichokes, say. Botanical-esque illustrations, hand-drawn by bartender Hendra, highlight the star ingredients from the Room 4 Dessert garden. 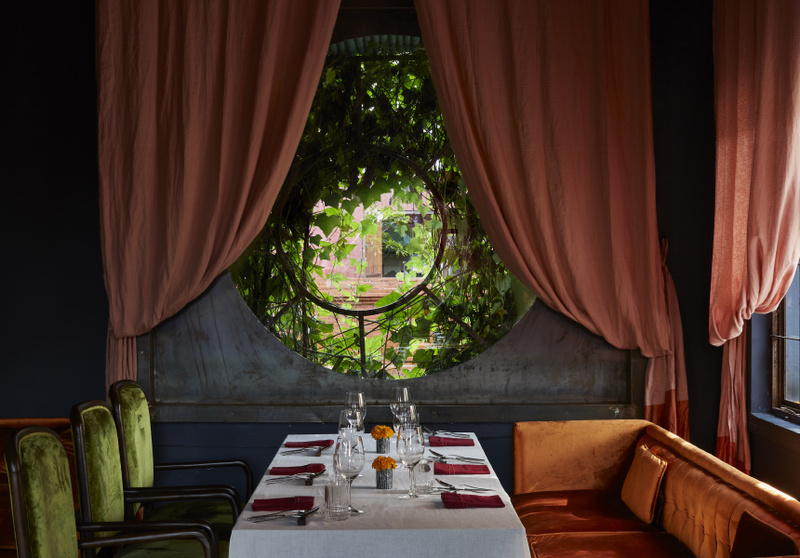 The restaurant’s heart – the original indoor dining room – has three new circular windows peering across to the fruit trees, and a service table that allows diners in the wings to soak-up the bar-service experience. Goldfarb’s signature desserts are still served here, and while the sugar load has been reduced across the board, the results are nonetheless delicious. Gentle twists on Room 4 Dessert signatures – the mulberry-spiked planifoglia, the jasmine-accented Jitterbug Parfume – sing true to the restaurant’s roots. New additions – a mouthful of jellied flower-infused water to pause the meal, say – speak strongly to the meticulous amount of thought Goldfarb has put into the revamp. (“We’re changing everything this year.”) The cocktail pairing is worthy of attention, too (here’s looking at you, fermented turmeric beer), and house-infused waters are in the pipeline for the future. 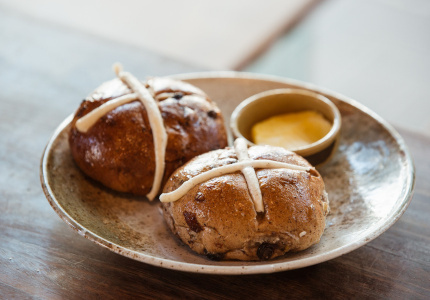 Outside, at a communal table lit by candles, local-leaning petit fours close the show. 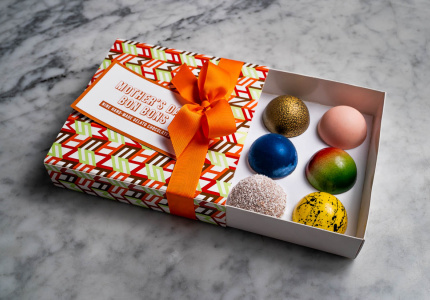 These, like the snacks, will change depending on what’s good from the garden, but might include rosella kombucha jellies; airy cashew marshmallows or the locally revered Balinese glutinous rice cakes known as klepon, served in a sweet little tin box. Doors officially reopened yesterday but sittings, Goldfarb says, are already booked out for the coming months. For the moment, he’s focusing on finessing the restaurant’s brave new direction. Room 4 Dessert, Jl. Raya Sanggingan, Ubud, Bali, Indonesia.